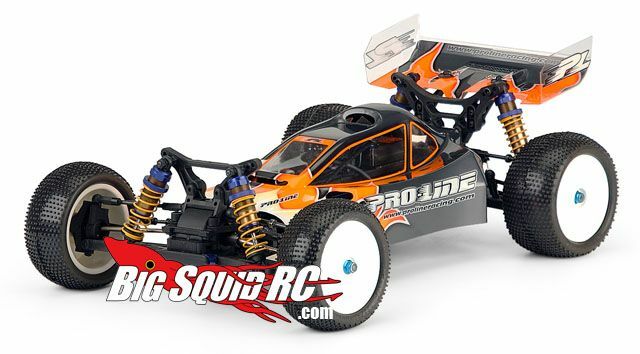 Pro-Line Vortex Body for the Kyosho Lazer ZX-5 « Big Squid RC – RC Car and Truck News, Reviews, Videos, and More! I know our resident edgy reporter Cubby has been pushing the electric RC scene for a while now, and it looks like Pro-Line Racing is starting to help with his efforts to help bring electric back to the front. This new body is designed to keep those high voltage brushed or brushless RC Kyosho Lazer ZX-5 systems cool! The body is called the Vortex, and is actually a really cool design. It’s got all sorts of places to bring the air inside and seems well thought out! If you have a Kyosho Lazer, you are going to want this body!